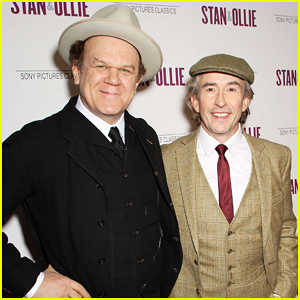 John C. Reilly & Steve Coogan Bring 'Stan & Ollie' To New York! The were pair were joined by the film’s screenwriter Jeff Pope and director Jon S. Baird, as well as Cuba Gooding Jr., producer Frank Whaley, Paul Schneider and Celia Weston who came out to show their support. Stan & Ollie follows the story of Laurel & Hardy, one of the world’s great comedy teams, set out on a variety hall tour of Britain in 1953. Diminished by age and with their golden era as the kings of Hollywood comedy now behind them, they face an uncertain future. As the charm and beauty of their performances shines through, they re-connect with their adoring fans – Watch the trailer below! Netflix & Marvel's 'Luke Cage' Renewed for Second Season! Amazing news for fans of Netflix and Marvel’s Luke Cage – the show has been renewed for a second season! Marvel announced the news with a video on Twitter, which you can check out below. 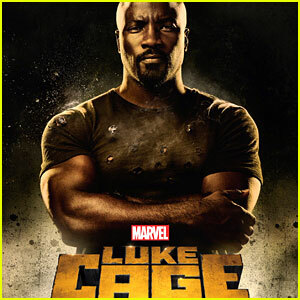 Luke Cage, starring Mike Colter in the title role, is the third of Marvel’s four Netflix shows: Daredevil, Jessica Jones, and Iron Fist. All four shows will eventually make up The Defenders, also planned for Netflix. If you missed it, you can meet the entire cast of Luke Cage! 'Luke Cage' Cast - Meet the Stars of Marvel & Netflix's Series! Marvel and Netflix’s new series Luke Cage is being made available tonight and you can get the details on the cast right here! 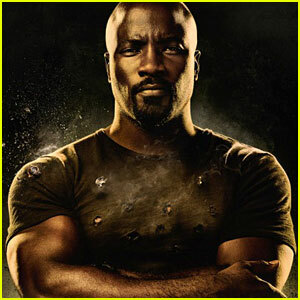 Mike Colter is starring in the new show as the title character, a former convict who fights crime using his superhuman strength. The superhero made his first appearance in Marvel’s Jessica Jones and now we have 13 episodes all about him to binge watch! Rosario Dawson is reprising her role as Claire Temple, which she played in the Marvel and Netflix series Daredevil. Leighton Meester Sparkles at 'Like Sunday, Like Rain' California Premiere! Leighton Meester is all smiles as she poses for photographs at the premiere of her latest film Like Sunday, Like Rain held at Laemmle’s Town Center 5 on Wednesday (March 18) in Encino, Calif. The 28-year-old actress was joined at the event by director/writer Frank Whaley, as well as producers Uri Singer and Fabio Golombek. Leighton plays Eleanor, a struggling musician who becomes the live-in nanny of a 12-year-old music prodigy in the flick, which also stars Billie Joe Armstrong and Debra Messing – Watch the trailer here! FYI: Leighton is wearing Etro golden pants and crop top paired with a Emm Kuo clutch and Christian Louboutin sandals. Rose Byrne, Lily Rabe, & Uzo Aduba Make It A Classy Night at New Group Gala 2015! Rose Byrne and Lily Rabe look chic and sophisticated as they pose for photographs while arriving at the 2015 New Group Gala held at the Tribeca Rooftop on Monday (March 9) in New York City. The 35-year-old Spy actress and Lily, 32, were joined at the event by Uzo Aduba and her Orange is the New Black co-star Natasha Lyonne, Benjamin Walker, Lili Taylor, Dianne Wiest, Holly Hunter, Cynthia Nixon, Frank Whaley, and Rose‘s boyfriend Bobby Cannavale, who served as host for the night alongside Natasha. The New Group, which is celebrating its 20th anniversary, is an award-winning, artist-driven company with a commitment to developing and producing powerful, contemporary theater. Leighton Meester Hits Mill Valley for 'Like Sunday, Like Rain' Premiere with Billie Joe Armstrong! Leighton Meester rocks floral trousers as she hits the red carpet at the premiere of her latest film Like Sunday, Like Rain held at the Rafael Film Center on Monday evening (October 6) in Mill Valley, Calif. 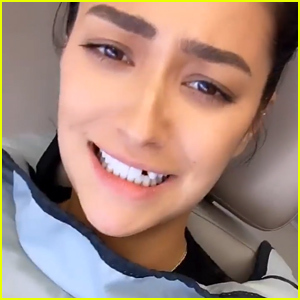 The 28-year-old entertainer was joined by her co-star Billie Joe Armstrong and writer and director of the flick Frank Whaley. That same day, Leighton was spotted looking cool and casual as she arrived at LAX Airport with her grandmother to catch their departing flight to Mill Valley. FYI: Leighton is wearing a Narciso Rodriguez top and trousers with Brian Atwood pumps.